Eram Scientific Solutions Pvt. 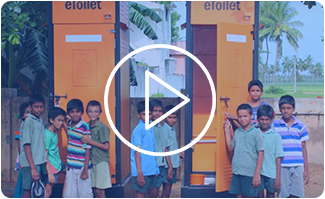 has been awarded the “Reinvent the Toilet Challenge” awards by one of the most esteemed and prestigious Foundations in the world, the Bill & Melinda Gates Foundation (B&MGF) located in Seattle, Washington. The Grant instituted by the Foundation amounts up to INR 3 Crores (approx.). Eram Scientific Solutions will be associating with Bill &Melinda Gates Foundation for utilizing the grant for conducting Research on maintaining toilet cleanliness, non-depletion of water resources and energy conserving solutions. Eram Scientific has achieved the rarest distinction of being the only Company from India as well as from Asia and one amongst the four institutions worldwide to have grabbed this internationally acclaimed grant award this year .